Gossip. Paris villages. an hour from Paris / Sunshine. days out. 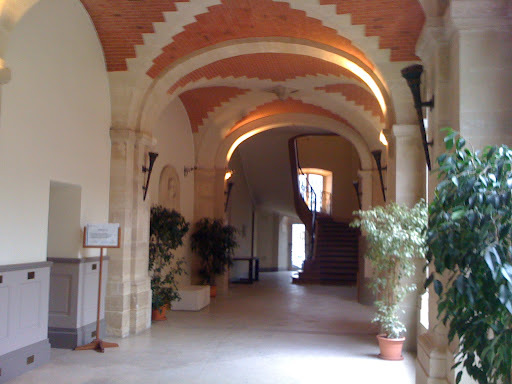 I had been invited to visit a friend in the small town of Lagny-Sur-Marne. A comfortable 25 minute ride on the P line from Gare de L’est. 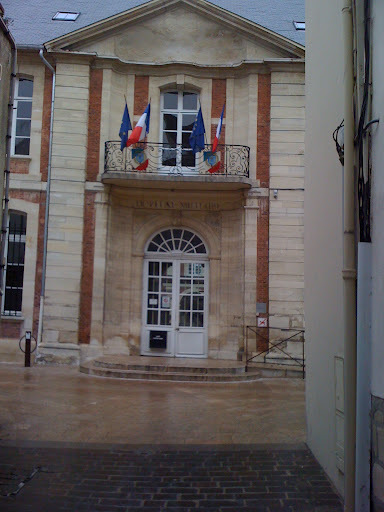 It is a typical small French town with a town square and a market on Wednesdays and Sundays. 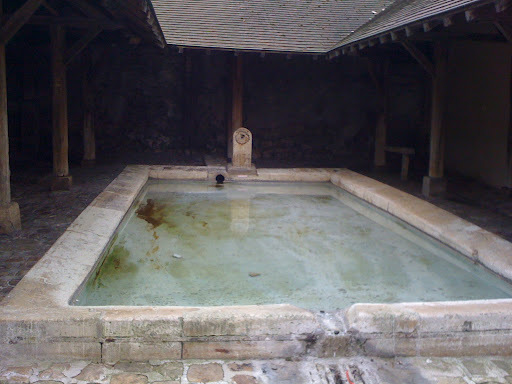 A Lavoir has been preserved in the center of the town where women would come to wash thier clothes and gossip. I’ll bet a lot of reputations have been ruined here! 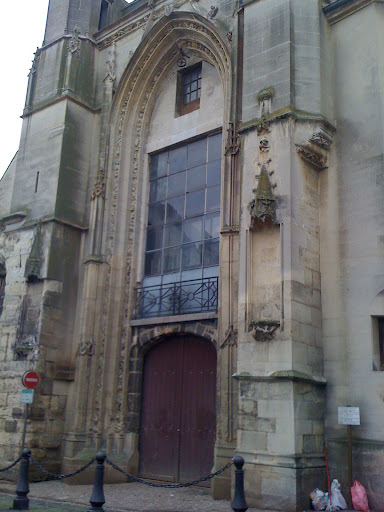 The church of St Pierre Abbey church is such a surprise to enter as it is huge. It was originally built to be a cathedral but not completed. 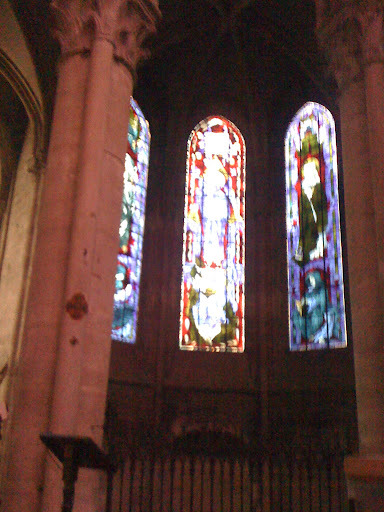 The stained glass windows are amazing, of course my iphone pictures can not do it justice. My friend remarked on the fact that we were standing in a spot where people had been standing and praying for seven hundred years including Jeanne d’Arc, who legend has it, came here to pray. 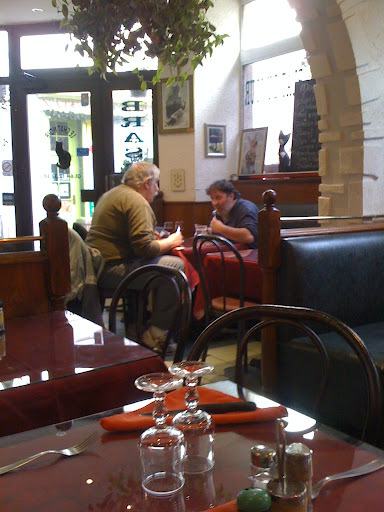 We had a good lunch in an ordinary little cafe on the corner of the street. I was amused to observe the proprietor pour brandy over the pear tart and light it. Only in France would you find flambéed dessert in an ordinary cafe! 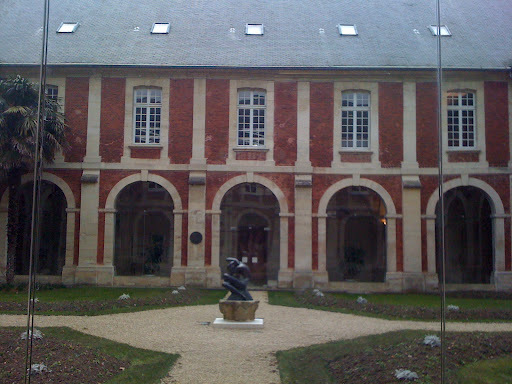 After lunch we wandered into the local Marie, a lovely building that was once a military hospital. It was lovely to catch up with my friend again and I had a lovely day despite the damp weather.